It is referred to as The Golden Anniversary. Still, his death & his absence does not, cannot tarnish what he and my mother built together. They were best friends. Children really, when they first met. They grew up together. They started a family. They built a home. They built a life. It wasn’t always easy. And no, it wasn’t perfect. Nothing worth having is. They always taught me that marriage is work. It takes two imperfect people striving to build a foundation of trust, acceptance, respect and unconditional love. And when that foundation is strong, the hardest of times become somehow more bearable and the best of times, so much more meaningful. But the foundation must always be tended to. That is the work. The labor of love. Ani l’dodi v’dodi li I am my beloved & my beloved is mine. 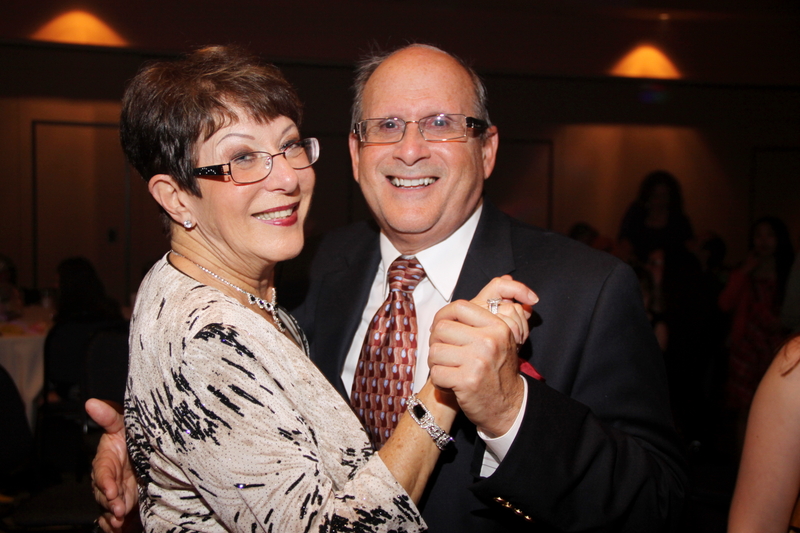 Fifty years of marriage. It was supposed to be celebrated as a couple. The toast to be shared wishing for “many, many more anniversaries to come.” It was supposed to be a day of great joy. But alas, life did not honor what was supposed to be. Gold should shimmer, it should sparkle, it should glisten. It reflects light and life. Without my father it does not shine so brightly. It is muted by his loss, by his absence. But still, we must honor this milestone. We honor it for my mother, and in loving memory of my father. Fifty years is quite an achievement. 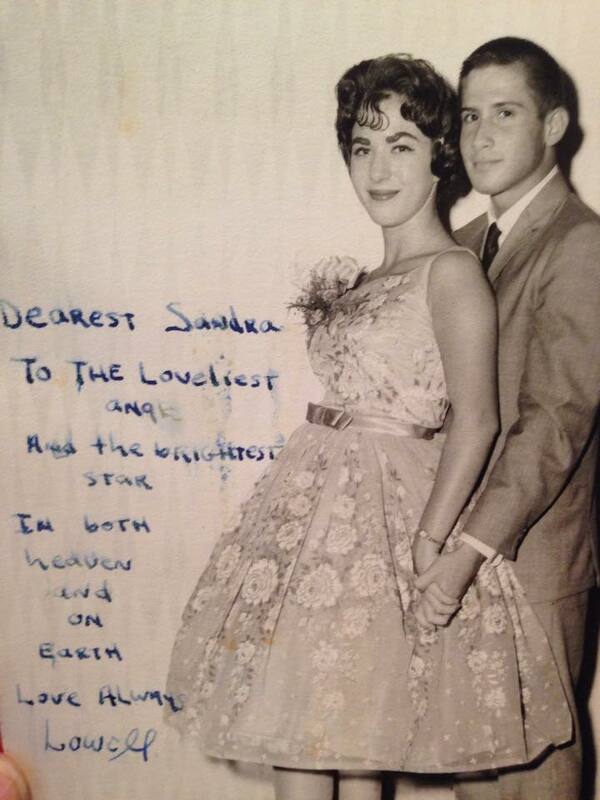 My mother & father on the day my mom turned Sweet 16. Together these two kids who met in Brooklyn 55 years ago-built something so very beautiful. 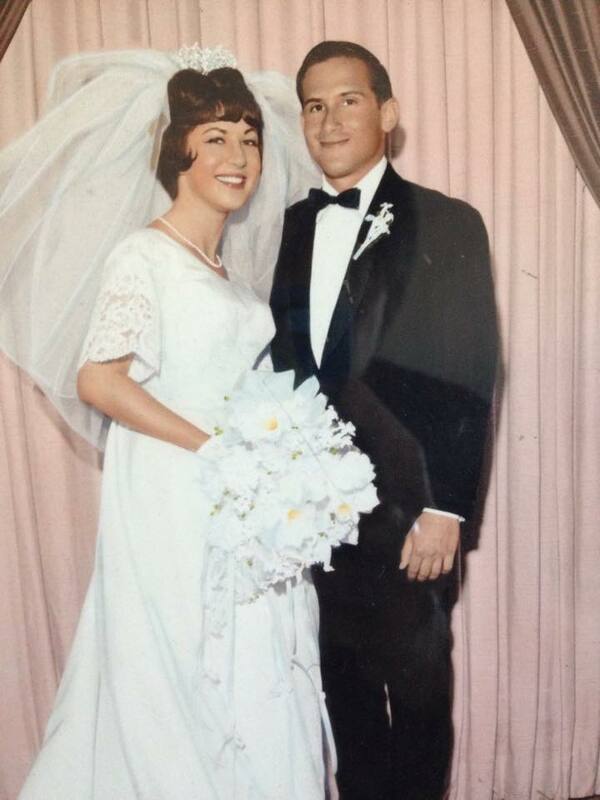 June 13, 1965 was the beginning of their journey as husband & wife. And from that day, and that commitment, came a family. Two children and six grandchildren. That is the legacy of their love story. So, we celebrate that. We celebrate the family that love built and the love story that started it all. And we mourn the husband, father & grandfather who is not with us on this day! But never will we allow his death to diminish all that he and my mother shared, all that they were to each other, all that they had been through, all that they had experienced in good times & bad, & all of the love that filled their days. This post was originally posted to my Facebook page on 5/29/15. It’s Shabbat. Soon we will light the candles. I cooked today, sweet & sour lentils. I even made a banana bread. I haven’t found the joy in cooking again. But I am doing a little more of it. Feeling good at least to be feeding my family good food, healthy food, food that nurtures their bodies. Cooking & baking truly fed my soul before that phone call, before you took your life, before we buried you. I know that feeling will come back, but for now-no photos of my food, no recipes shared on social media, nope, I’m not there yet. I miss you dad. The words to Mourner’s Kaddish do not come easily. Simply uttering them makes the loss seem somehow so much more real & palpable. You were never really a religious man dad. I wonder if you had been, if it might’ve been easier for you to have “faith” that things would get better. It’s another one of those questions dad, the kind you’ll never answer, the kind I’ll never really get to ask. There are so many of those damn questions. Where are you dad? That’s another one–why can’t you come and visit me in a dream? Whisper to me in the wind and tell me you’re okay? I always wonder that dad-Are you okay? It’s Shabbat. 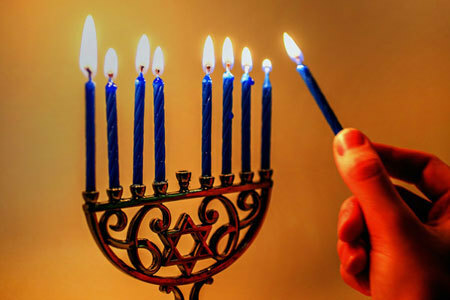 We kindle the lights, we bless the wine & the challah. We welcome the Sabbath Bride into our midst. 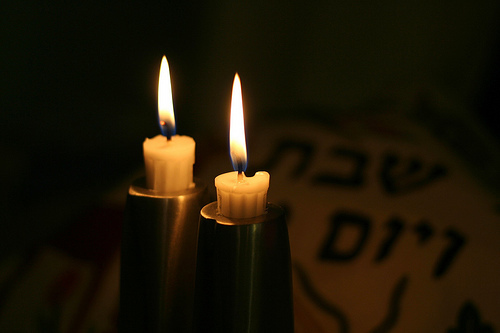 We wish for shalom, peace, on Shabbat. I haven’t found it yet Daddy. But I’m trying… I love you. And I miss you more than words can say.